When we see the third generation of believers doing the work of the ministry, we know the training worked! Without hesitation Hope and Help said, “Yes, we will train your pastors!” And with that one conversation, in a remote area halfway around the world our story begins. In that first training of those thirty men, most were from that area, but one of them, I’ll call him Johnny, had ridden a train for about nine hours to join us. He was young, enthusiastic and eager to learn. For three years total we trained this same group of pastors, including Johnny. We taught them basic Bible doctrine and inductive Bible study, evangelism methods and church planting. We covered the basics of being an effective pastor and leader. Every year Johnny went back to his church and applied the principles he learned. Johnny trained people in his church to share the gospel. But he didn’t stop there; he also ventured into more remote villages and shared the gospel. Soon he had a small group of believers in one remote village. While he was reaching that remote village Johnny was also discipling several young men in his home church. He discipled them with the same materials and concepts he had been taught. And when the time was right, he handed off the responsibility of that new church to one of those disciples. But, Johnny’s church was too small, too poor, to fully support the pastor of the new church plant. So, on the other side of this country, a pastor we had trained years earlier and who had helped organize the Timothy Leadership Institute that trained Johnny, stepped in, and now his church is supporting the pastor of the work that Johnny started. The nationals are training and equipping nationals to do the work of the ministry. The discipled are now disciple makers. We recently received a report that 5 more families in that village have given their lives to Christ and are willing to follow God in baptism. They have counted the cost of following Christ. And where they live it is a very high cost. This is not the end of the story. Two of Johnny’s disciples have volunteered to cross over into an even more difficult area and begin a new work. This new area is a place where you and I would have limited access, if we were allowed in at all. This story will continue, like evangelism and discipleship will continue, until all have heard and until Jesus returns. Thank you for partnership with us to equip nationals to do the work of the ministry. Without your prayer and financial support we might not have gone, Johnny might not have been trained, those remote villages might not have heard the gospel, a man we have never met might not have been discipled, families we will now meet in heaven would have remained trapped in the darkness, and that church hundreds of kilometers away would have never had the opportunity to join God in the work of this ministry. I don’t know how the enemy has tried to discourage you recently, but let the Spirit of God encourage you with this story. 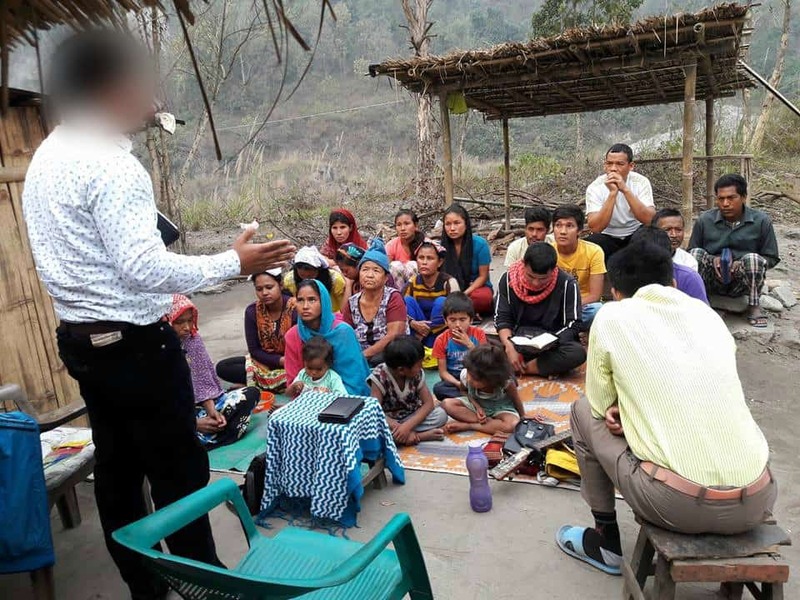 As a prayer partner and financial supporter of Hope and Help International you are part of the reason a small remote village in place we could never reach, now has the gospel. The light is shining in the darkness and the darkness is retreating. You are making an investment in the Kingdom! Thank you for your prayers and your financial support! For more information on donating to Hope and Help and our work in South Asia. ¹a paraphrase of comment by Jeff Christopherson, of the North American Mission Board of the SBC, in a blog titled Trickle-Down Evangelism.